Markjedi1 send me multiple samples after I send him one myself, believe me he was very generous. When time came to pick one for reviewing, I couldn't pass on the opportunity to review one that haven't been release yet. 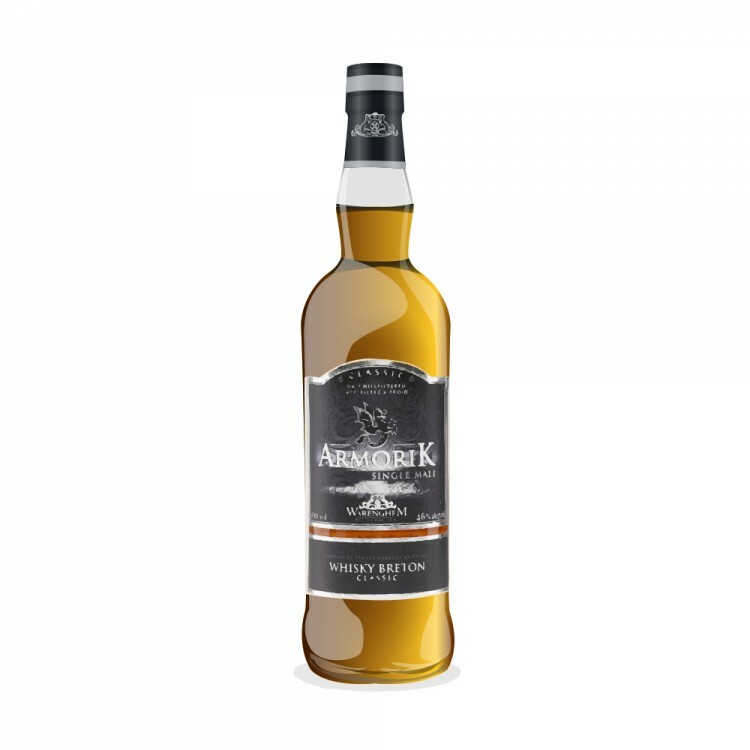 So this Armorik, the French distillery, has been bottled by Mark's own company MMM (Mark & Manny's Malts). It will be their third release in september after the previous Craighellachie and Tamdhu. It was send to me when I asked, in return for the sample I had send, something local or something that would not be available here in Quebec. I will probably review the other samples as well. I was not asked by Mark to review it and will do my best to avoid any bias. So this whisky has been distilled, as I was saying, by Armorik in 2008 and was aged (or finished, I'm not sure) in Port Cask. It will be release in september therefore the 7 yo. I don't know if this sample is coming from the cask or a bottle. The nose: It is my first Armorik aged in Port Cask. Like most Armorik, it is realy oaky but a very nice one. You certainly can detect the Port Cask direct from the first note. A nice mandarine hits you straight from the beginning with some Rose and maybe something fresh like cucumber peel. After a while and some air, there is cumin with chili to pump it up and when you put away the glass, you get the more conventional cake spices with vanilla and white oak. The nose is young, complex and very vivid. The word that comes to my mind is playfull. The palate: I was not expecting such a nice mouthfeel. It makes a coating in your mouth, very enjoyable. This coating makes it smooth and more sweet than on the nose but then the heat and the spices hit you. All the flavors from the nose are there but harder to identify because they are flying by fast before mixing themselves altogether with a little smoke I did not detect on the nose. With time, I get some lemon and even some faint briny effluvia with the light smoke but maybe my imagination is tricking me. The finish: It is short on the well defined flavors but long on the mouthfeel and on the mixed flavored. After a while, the Port Cask is coming back in general winey way (a good one) and with a faint mandarine. Conclusion: I really like the nose and the mouthfeel of this whisky. The palate may lack some definition but provided me with a general sense of well being. I just feel like taking another glass of this one right now. So maybe it is not a whisky to analyse for me but simply to enjoy. But let face it, it is hard for me not to analyse things, it is in my nature. So I have to tell you that the mouthfeel with the well integrated sugar makes me think of some Bourbon. I am strictly talking of the mouthfeel, the flavors have nothing to do with a Bourbon. As for the spices and the heat, it is as if they would have put some Amrut into their cask but were able to keep their French identity at the same time. And at the limit of the palate and the finish there is a drop of Pulteney. If you are confused, so am I. But remember that it is quite enjoyable. I think my title was too long. Does somebody can tell me why that happened. Anyway, Armorik is the word that was cut out of my title. And by the way, there is the usual red fruits you get from Port cask in it, I haven't mentionned it because they are forming the background, always present but never in front or very well defined. That is one of the flaws of my reviews, I have a tendancy to discard the obvious to concentrate to what make the whisky reviewed different from another one. yOU'VE BEEN WARNED! Lovely review of my whisky - cheers!